Welcome to the Strategy of the day page. In this page, we will try to present 1 setup per day either in 1 hour or 4 hour time frame. 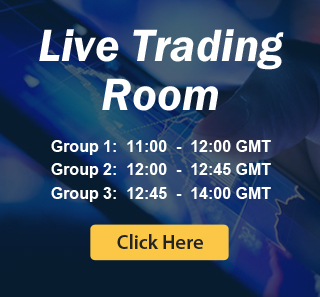 1) The purpose of this section is to generate either a 4 hour or 1 hour trade idea per day where possible and impress upon members the thought process that goes into market speculation. These are NOT direct trading signals. EWF firmly believes that a novice trader cannot successfully mirror the actions of another trader, but must ultimately formulate his or her own plan which is suitable to his/her personality. Specific and direct buy and sell recommendation will NOT be provided, although members can surmise EWF’s position and preference. 2) Trading is a possibility game. It’s not a probability, much less certainty. Always use stop loss to protect your account. If you are unwilling to put stop loss and unwilling to take loss early when the setup is invalid, you should not consider trading, because sooner or later you will blow your account. 3) Do not trade every swing on our chart everyday. 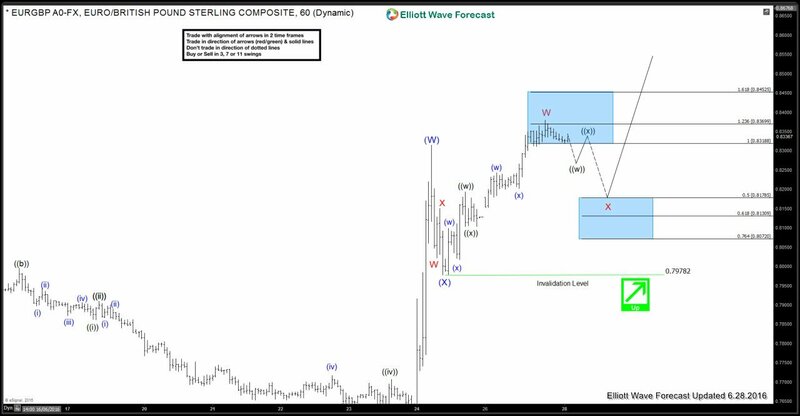 Here at EWF, we present Elliott Wave Setup which meets our trading criteria (3-7-11 and equal leg with the trend). If you already have your own system (e.g. harmonics, ichimoku, etc) with a clear trading rules, then you can still use your own established system while using EWF charts as confirmation. The bottom line is if you don’t have a system, and if you trade at random position using our charts without waiting for a good setup that meets criteria, you are bound to fail as a trader. If you don’t have the discipline and patience for a good setup, it’s highly likely you will fail. 4) You should only risk 1-2% of your capital in a trade. Calculate the right position size when you enter a trade so that if you are wrong and your stop loss gets hit, you lose maximum 2% of your capital. The lower the better if you are a novice trader. Risk management is the single most important thing in trading. If you have not been consistently profitable yet, start following this rule today with discipline, and you will survive long enough in trading to finally understand how to do it the right way and become profitable. 6) The trading technique and risk management presented in the videos follow 3-7-11 swing and equal leg in combination with Elliott Wave, as explained in our three educational seminars titled Learn Elliott Wave, Wave Sequence & Structure, and Trading Execution. All our setups have at least 2:1 reward to risk ratio. 8) Enter at equal leg with initial stop loss at 1.618 extension. Take a small portion of your position off when the market has reacted 50 back of the previous cycle in wave Y or in wave C and place stop loss on remaining position above or below the high / low in such a way that if the high / low is broken, then the net result is a break-even. 9) You should anticipate many break even trades, so don’t get discouraged or disappointed when things move in your favor then it reverses and stops you out at break even. Remember, 90% of your yearly profit comes from 10% of your trades. The rest of your trades is a washout: small profit, controllable losses, and breakeven. Hold the right position as long as you can while protecting profit through moving stop loss.